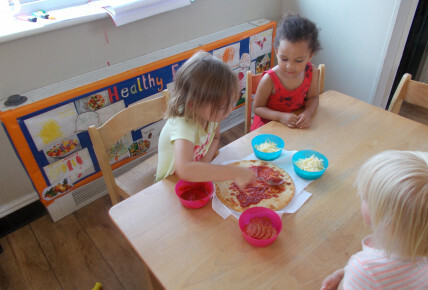 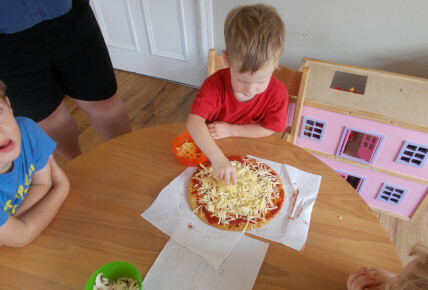 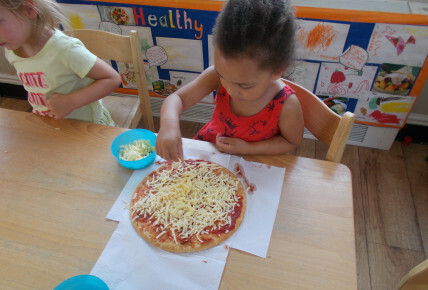 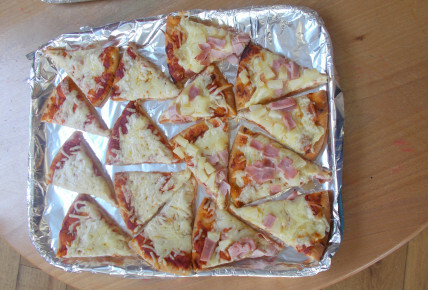 The preschool chidlren enjoyed making their own tea - they chose pizza's. 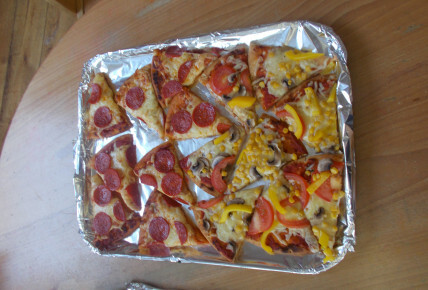 They had lots of different toppings - ham, pineapple, pepperoni, peppers, sweetcorn. 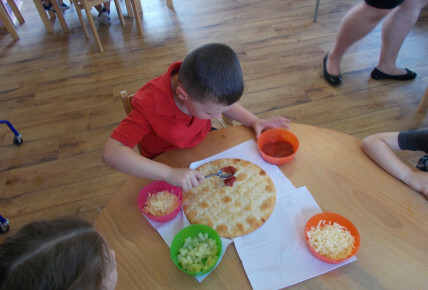 They made a big pizza in their groups, asked our lovely chef Kim to cook them, and enjoyed them for their tea.